Social Media Marketing is both an art and a science, and represents a marketing solution increasingly more important to companies both large and small. 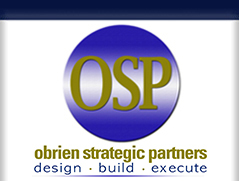 OSP's Social Media Marketing programs will grow your business by establishing a significant presence on social media websites including LinkedIn, Facebook, Twitter, Google+ and YouTube, to mention a few of the important sites applicable to your organization. Our social media marketing programs leverage the extensive reach of these sites, boosting marketing effectiveness by dramatically expanding your online presence. Developing these types of tools can help your company establish subject matter expertise, share content, improve SEO, and expand branding.